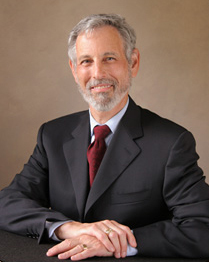 Howard M. Zaritsky is an retired attorney and a nationally-recognized expert on estate, gift, and generation-skipping transfer taxes, fiduciary income taxes, estate planning, and estate administration. He has published over a dozen books, including Tax Planning for Family Wealth Transfers At Death, Tax Planning for Family Wealth Transfers During Life, and Tax Planning With Life Insurance (all published by Thomson-Reuters/WG&L), three Tax Management Portfolios (Revocable Inter Vivos Trusts; Grantor Trusts; and Foreign Trusts, Estates, and Beneficiaries), and more than 150 articles in various law reviews and professional journals. He has lectured at all of the major tax and estate planning institutes, including the University of Miami Heckerling Institute on Estate Planning, where he is a member of the advisory board, and the Douglas W. Conner Advanced Estate Planning and Administration Seminar. Mr. Zaritsky was for nearly 20 years a partner in Zaritsky & Zaritsky, Fairfax, Virginia, where his practice was limited to estate planning and related tax matters.